It is March and hopefully the cold, snowy, blustery days are behind us. I am ready for warm sunny days, blossoming daffodils and chirping birds! I am sure the students are too! Please join me in congratulating the 2017 – 2018 D.J. Montague Teacher of the Year, Deanna Guiseppi, 3rd grade teacher. 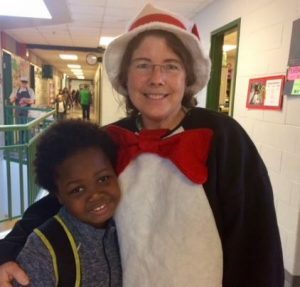 As her nominator so eloquently stated, “If you stop by Deanna’s room on any day during the school year you will find her students enthusiastically engaged in the learning process in a safe, secure and welcoming environment. “Mrs. G” as the kids call her, is a master teacher and it shows across all content areas. 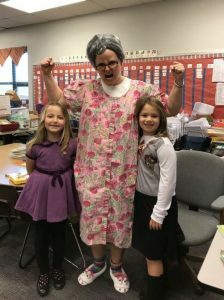 She is always willing to go the extra mile for her students and they return this gift back to her as well. There are a couple of safety drills scheduled for March. We will have our 4th lockdown drill this month. Like the February drill, this drill will be conducted by the James City County Police Department. The February drill went smoothly, and the feedback received from the police officers was positive. The statewide tornado drill will be held on March 20th at 9:45 AM. Teachers will review and practice the procedures for the drill with their students. All students will move downstairs, away from windows and doors, crouch down on their knees and cover their heads with their hands. Practicing this at home will hopefully make students feel more comfortable during the actual drill. Bus arrival and dismissal seem to be running more smoothly. The challenge we still face is getting the busses and cars into the parking lot from Centerville Road. In order to keep traffic flowing and avoid a backup, please follow the directions of the staff at the carline and pull to the front of the loop and beyond the sign before allowing your children to exit the car in the morning. Please also pull to the front of the loop when picking up your child in the afternoon. Safety is still our top priority. The 2017 – 2018 Standards of Learning testing window for students in grades 3 – 5 is May 8th – June 1st. Please avoid scheduling doctor or dentist appointments or taking any family trips during this time. Students tend to perform better when they test with their class rather than during a make-up session. You will receive a calendar of the testing sessions, if you haven’t already done so. Here are some important March/April dates to remember. 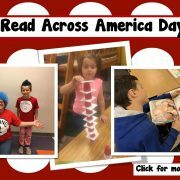 Happy Read Across America Day! 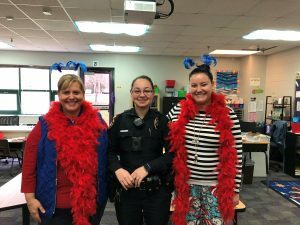 DJ Montague students and staff celebrated Dr. Seuss’ Birthday and our LOVE of reading with all sorts of fun. 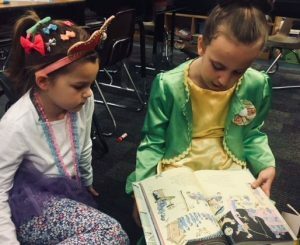 There was buddy reading, dressing up as your favorite storybook character, guest readers, and activities surrounding Dr. Seuss and our love of reading. ENJOY! 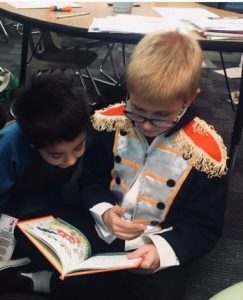 https://wjccschools.org/djm/wp-content/uploads/sites/15/2018/03/Read-Across-America-Day-1-e1520258248371.jpg 211 375 Amy Mabe https://wjccschools.org/djm/wp-content/uploads/sites/15/2014/05/logo.png Amy Mabe2018-03-05 08:53:522018-03-05 08:58:13Happy Birthday, Dr. Seuss!